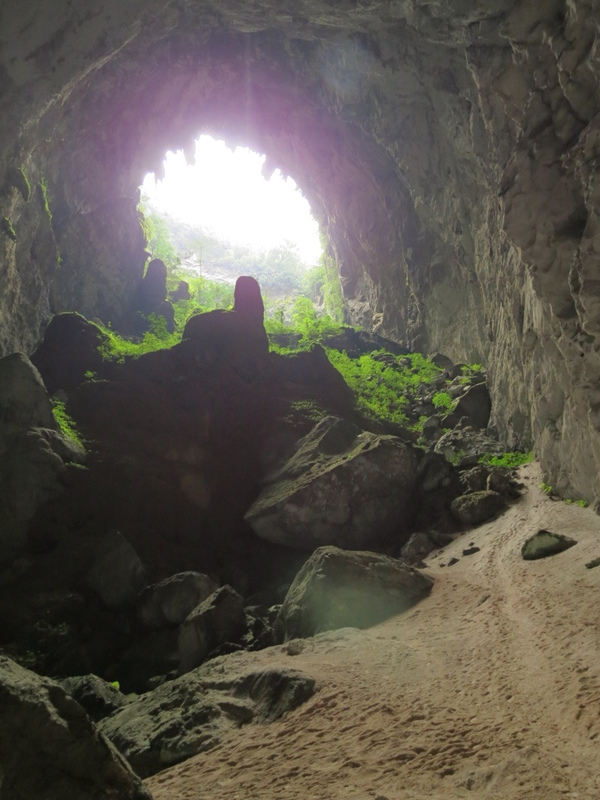 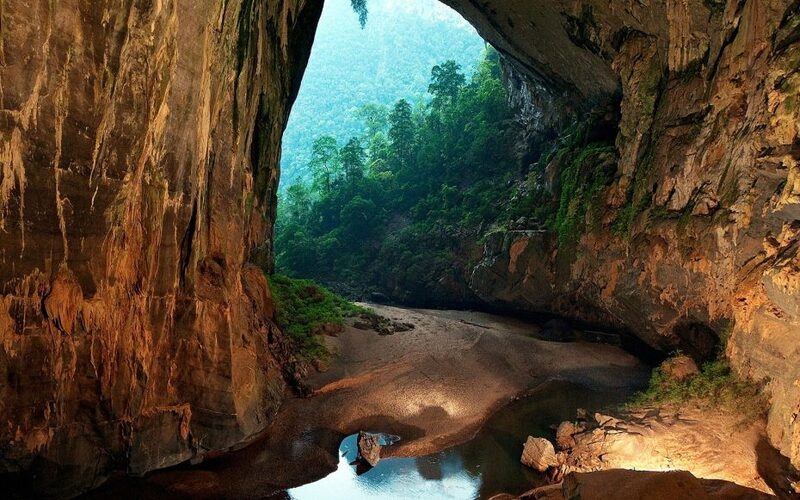 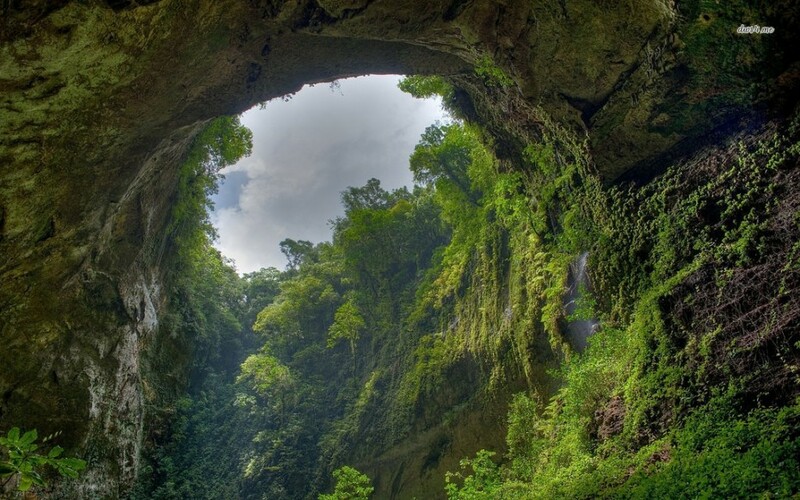 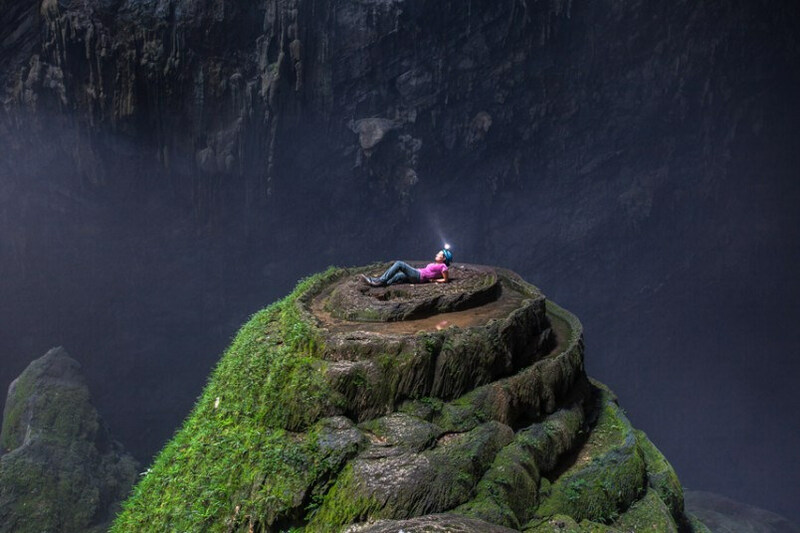 People have been crawling around the cavernous mountains of Asia for centuries, but remarkably, the largest cave in the world remained hidden from discovery deep in the forests of Phong Nha Ke Bang National Park in Vietnam until 1991. 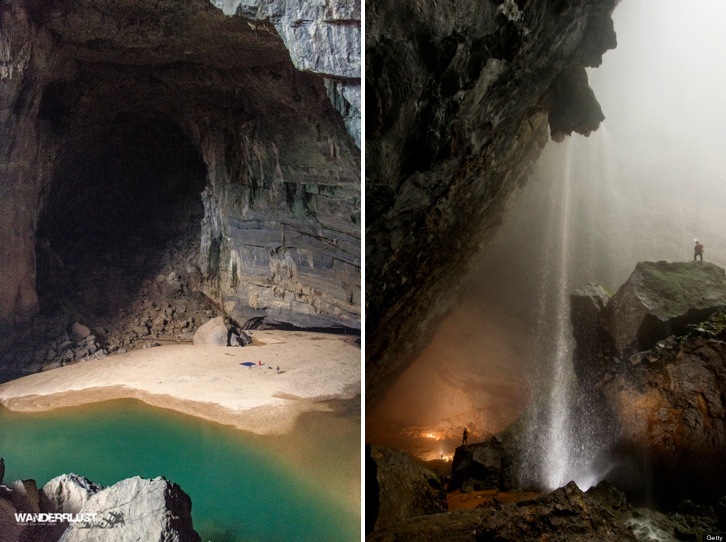 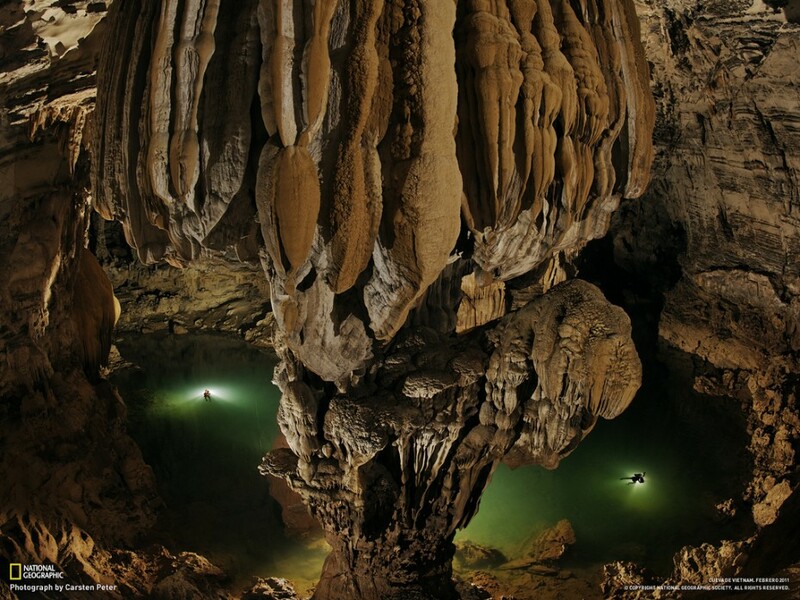 Five times larger than the nearby cave that previously held the record of the largest in Vietnam, Sơn Đoòng was named after the Vietnamese words for “mountain river,” because of its own large, fast-flowing river inside it. 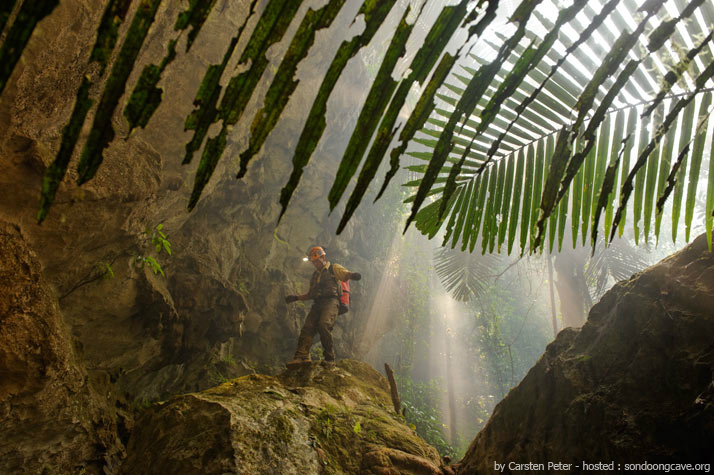 The cave also comes with its own jungle explorers named the “Garden of Edam” as well as some of the tallest known stalagmites in the world, which are up to 70 m tall. 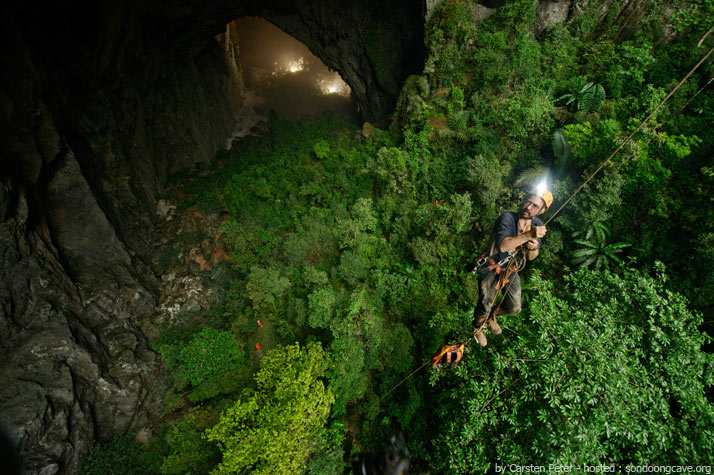 It took a year for explorers Howard and Deb Limbert to even reach the end of the cave passage after their progress was stalled by a large 200 ft high calcite wall which was nicknamed The Great Wall of Vietnam. 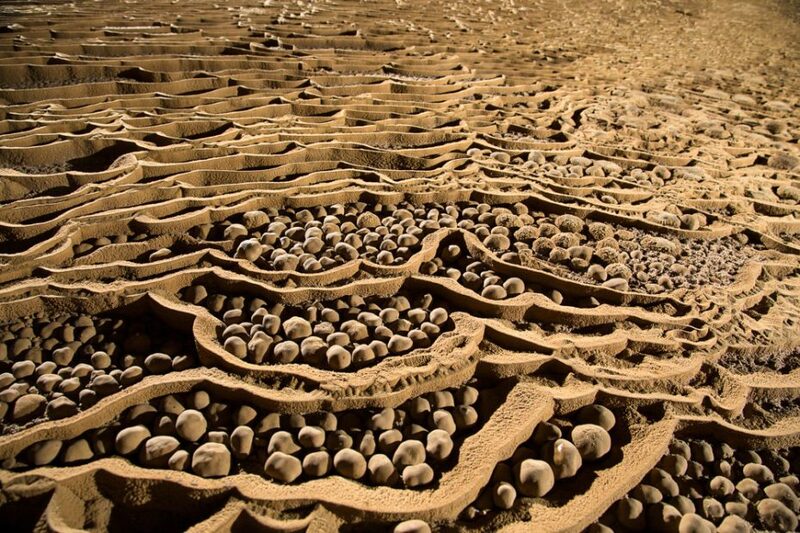 On the other side of the wall, they found a ‘field’ of rare abnormally large cave pearls described as the size of baseballs. 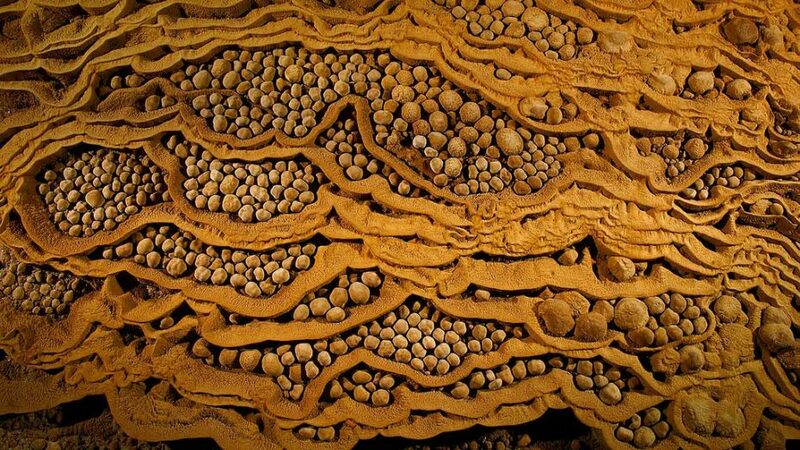 They are formed by a concretion of calcium salts polished by moving water. 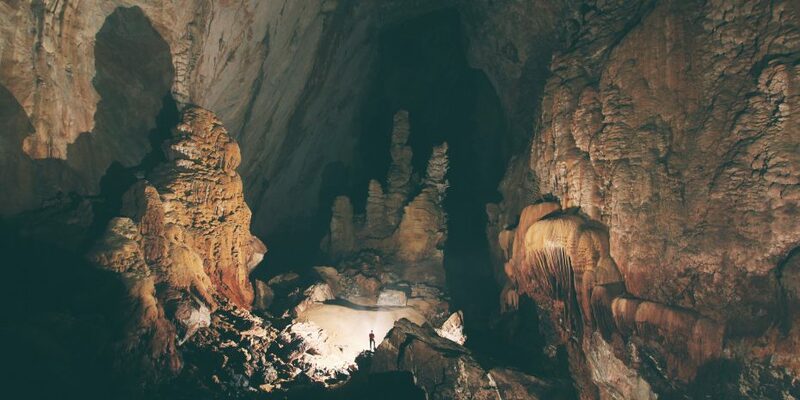 The cave is believed to have been formed more than two million years ago and with that much time, it shouldn’t come as a huge surprise that this hidden “other world” had time to even develop its own climate. 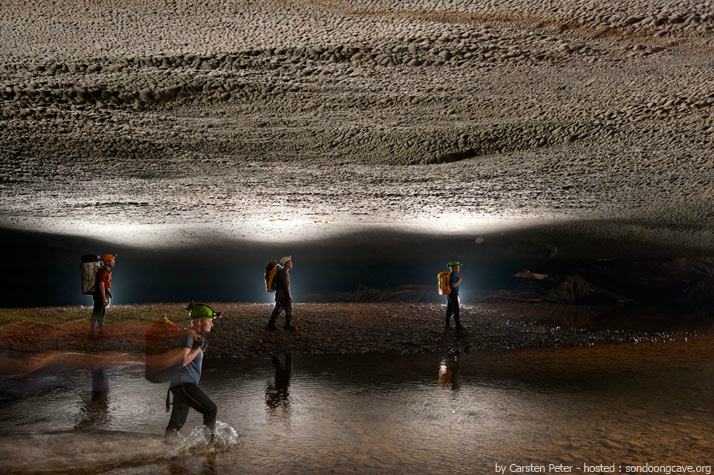 A widespread presence of calcium carbonate provides evidence that the cave has actually produced its own rain clouds and has experienced wetter and drier years over time. 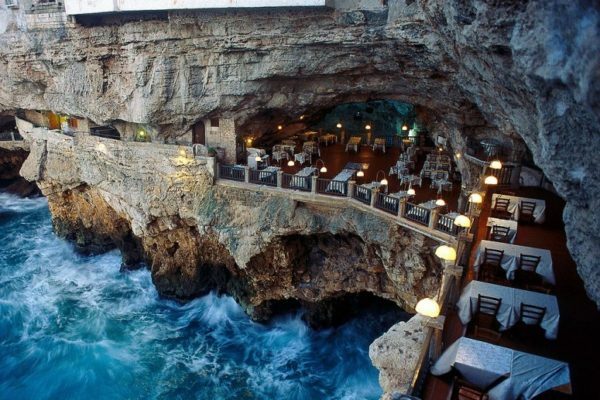 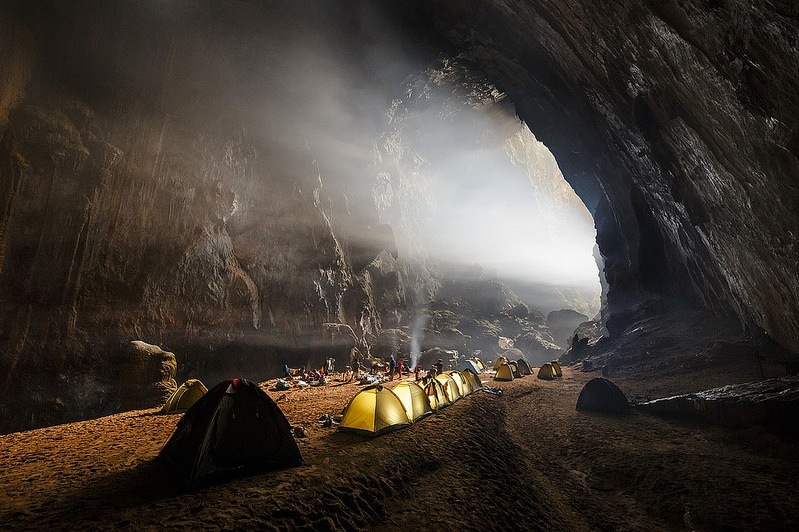 In 2013, the first group of adventure tourists explored the cave on a guided tour that cost $3,000 each. 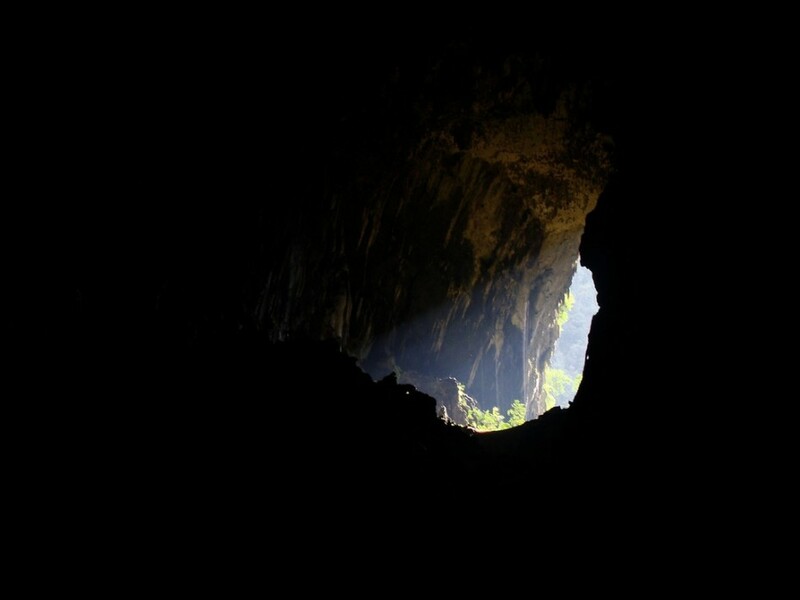 You can read an account of one explorer’s trip here.